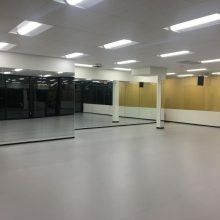 Dr. Alessandra Williams, dance artist-scholar-educator, has accepted an appointment as Assistant Professor in the Dance Department, Mason Gross School of the Arts, at Rutgers, The State University of New Jersey. Dr. Williams is a dancer and scholar whose academic interests include dance and performance studies, Asian and African American culture, transnational feminism, queer of color theory, and comparative studies of race and ethnicity. Having joined the Minneapolis-based Ananya Dance Theatre to train in the company’s Yorchhā technique in 2006, she has performed in seven productions: Pipaashaa: Extreme Thirst (2007), Ashesh Barsha: Unending Monsoon (2009), Moreechika: Season of Mirage (2012), Roktim: Nurture Incarnadine (2015), Horidraa: Golden Healing (2016), Shyamali: Sprouting Words (2017), and Shaatranga: Women Weaving Worlds (2018). Dr. Williams recently worked alongside artistic director Dr. Ananya Chatterjea and founding company member Dr. Hui Wilcox to submit their book manuscript Meditation on Dream, an anthology of poetic and scholarly essays on the relationship between choreography and race, gender, sexuality, and diaspora and indigenous frameworks. In other publications, she has theorized the choreography of David Roussève/REALITY dance company as a form of decolonizing alliances in Talking Black Dance Inside Out/Outside In, edited by Takiyah Nur Amin and Thomas DeFrantz (Conversation Across the Field of Dance Series XXXVI). As Eugene V. Cota-Robles Fellow, Dr. Williams earned a Ph.D. and M.A. in Culture and Performance at UCLA. Through the Mellon Mays Undergraduate Fellowship, she finished her B.A. with honors in American Studies and Dance at Macalester College. 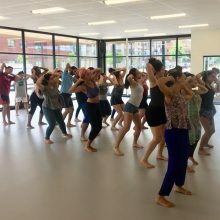 From 2018-2019, she served as Inclusive Excellence Fellow in Women’s and Gender Studies and Theatre and Dance at University of Wisconsin-Whitewater, where she choreographed two original pieces for the spring dance concert, and also served on committees supporting diversity and inclusion efforts. From 2016-7, she taught as Visiting Assistant Professor in the dance program of Carleton College. 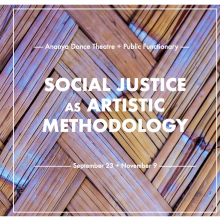 Ananya Dance Theatre’s Ananya Chatterjea will participate in the opening keynote of Dance/NYC’s 2019 Symposium at Hunter College, Feb. 22-23. The Symposium will consider the role of New York dance artists and their creativity in a changing United States. It will invite participants to investigate topics of transformative justice, the role of youth in activism and social change, increasing dance education for a thriving workforce, and radical practice, among others, in the context of a changing political climate and following CreateNYC, the City of New York’s first-ever cultural plan. For Symposium overview, agenda, speakers, venues, and sponsors, click here. 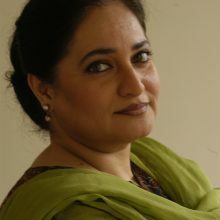 Shaatranga (which means “seven colors” in Bangla and is pronounced “SHA-trong-uh”) asks the question, “How do we show up for each other?” and suggests that global women who engage in world-making are refusing to be seen in only blue/indigo – the pain, sorrow, and defeat that has historically framed them. Instead, they share their multifaceted stories that express not only their pain, but their joys, laughter, and the work they do, that goes largely unrecognized, to create positive force in their communities and the world. 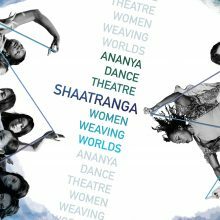 Shaatranga is Ananya Dance Theatre’s sixth production and collaboration with The O’Shaughnessy at St. Catherine University. Executive Director Kathleen Spehar and Production Manager Kevin A. Jones are key partners in the detailed planning that leads to the production’s mix of interactive and concert elements. “Work Women Do” concludes with this production exploring women’s work with indigo and cotton, commissioned by The O’Shaughnessy with support from a Joyce Foundation Award. Chatterjea’s choreography combines metaphor and poetry in Contemporary Indian Dance. Yorchha – the company’s remix of Classical Odissi, Chhau martial art, and Vinyasa Yoga – is a movement practice anchored by social justice as it invokes the spirit of Dakini, traditionally embodied by destruction, chaos, and ultimately transformation. Dakini lives in the possibilities of audiences’ and performers’ discomfort and insists that the role of women’s rage and their spiritual ecstasy be seen in the arc towards equity. 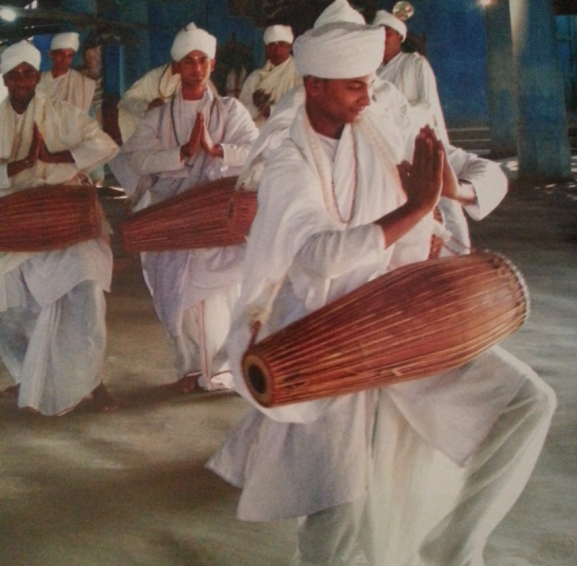 This tumult resolves through the choreography that weaves ritualistic performance and dances of the gentle warrior. 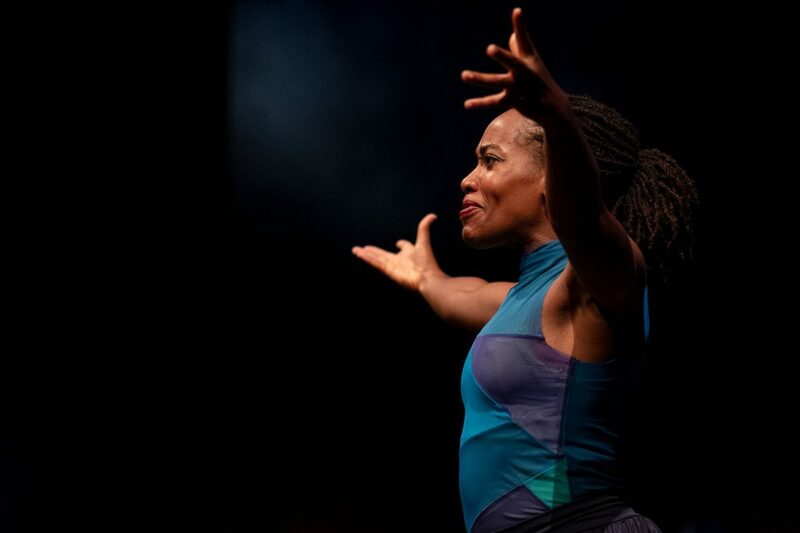 ADT’s dancers and collaborators represent a range of ethnic, cultural, immigrant, and of color communities: South, South east, and East Asian, African American, Pacific Islander, Latinx, and mixed race. The ensemble’s composition as “women of color” is crucial, yet nuanced, including queer men of color and trans women of color. Project collaborators are celebrated artists, including behavioral artist/collaborating director Marcus Young, composer Dameun Strange, scenic designer Chelsea Warren, media designer Darren Johnson, costume designer Annie Cady, lighting designer Kevin A. Jones, and composer/lyricist Queen Drea/Andrea Reynolds. 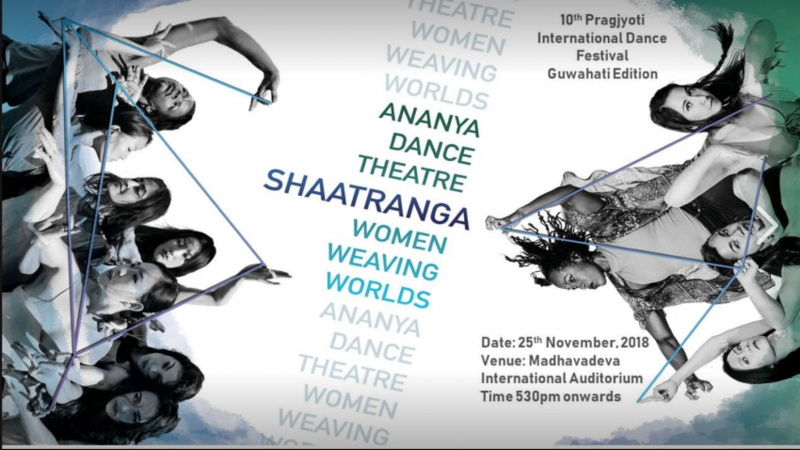 Tickets for Shaatranga: Women Weaving Worlds are $19-$29. There are discounts for groups, students, seniors, MPR and TPT members, and military. For more information and tickets, contact The O’Shaughnessy Ticket Office at 651-690-6700; summer business hours (through Sept. 1) are Mon.-Fri. 12-4pm; ticket office is located on the main campus of St. Catherine University at 2004 Randolph Ave., St. Paul. Tickets can be purchased online at theoshaughnessy.com. 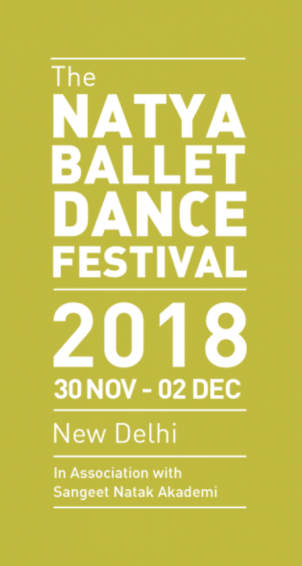 Residencies and performances of Shaatranga will be presented at Virginia Commonwealth University, Richmond, Virginia, Oct. 26-27, 2018; Rutgers University, New Brunswick, New Jersy, Feb. 1-2, 2019; Dance Place, Washington, DC, Mar. 30-31, 2019; John Michael Kohler Arts Center, Sheboygan, Wisconsin, Apr. 11, 2019; and Kelley-Strayhorn Theatre, Pittsburgh, May 10-11, 2019. 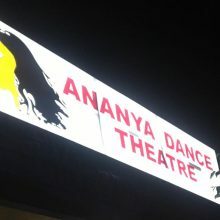 Celebrating 14 years of linking dance and social action, Ananya Dance Theatre is a Contemporary Indian Dance company composed of artists of color who create performances about the lives and dreams of women around the world: People Powered Dances of Transformation™ at the intersection of artistic excellence and social justice. Dancers and collaborators represent many cultural communities in Minnesota: South Asian, Chinese, Hmong, African American, Pacific Islander, Latinx, and mixed race. The company premieres one major work annually, and offers touring performances, classes, workshops, and dialogues. 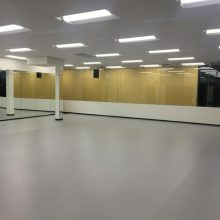 In June 2018, ADT took up residence in its new facility, a women of color-centered space of embodied practice, located at 1197 University Ave. W. in Saint Paul. Neel is about women’s dreams: dreams that unleash tremendous joy; shattered dreams; the imaginative labor that conjures up the most unlikely but exciting dream-visions; and dreams of wholeness and freedom that sound the call for revolution. Shyamaliwas inspired by the courage of global women of color who speak up to sustain communities and whose dissent fuels life force. It celebrates women who refuse to be broken and invokes the resilience of grass, which springs up even when trod upon. For more than 20 years, the Women of Substance series has showcased women’s ideas, amplified their voices and honored their places on life’s stage. These artists, thinkers and change-makers challenge the status quo, make audiences to look at the world in new ways, and instill a deeper understanding of self, purpose and action. Through art and ideas, the series ignites women’s innate power, consciousness and sense of justice, motivating and inspiring others to take action and lead lives of substance. The Women of Substance Festival magnifies the mission, values and spirit of St. Catherine’s University. 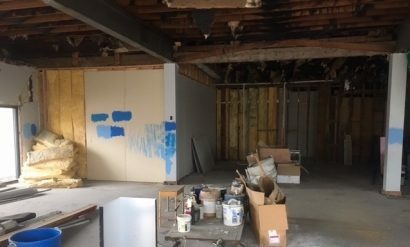 Shaatranga is supported by an Art Works grant from the National Endowment for the Arts, the Imagine Fund, the Marbrook Foundation, and the Seward Community Co-op. This activity is made possible by the voters of Minnesota through grants from the Metro Regional Arts Council and the Minnesota State Arts Board, thanks to a legislative appropriation from the arts and cultural heritage fund. Generous operating support is provided by McKnight Foundation. 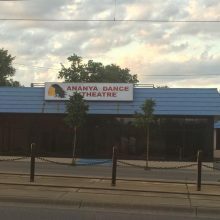 Ananya Dance Theatre, in partnership with Andrea Reynolds aka Queen Drea, is a fiscal 2018 recipient of a Cultural Community Partnership grant from the Minnesota State Arts Board. 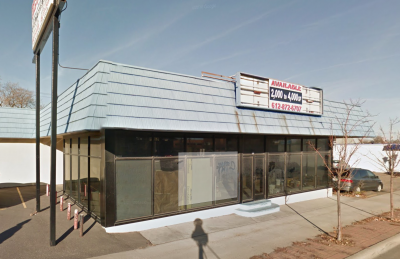 This activity is made possible by the voters of Minnesota through a grant from the Minnesota State Arts Board, thanks to a legislative appropriation by the Minnesota State Legislature; and by a grant from the National Endowment for the Arts.